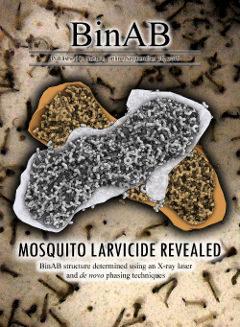 BinAB is a naturally occurring paracrystalline larvicide distributed worldwide to combat the devastating diseases borne by mosquitoes. These crystals are composed of homologous molecules, BinA and BinB, which play distinct roles in the multi-step intoxication process, transforming from harmless, robust crystals, to soluble protoxin heterodimers, to internalized mature toxin, and finally to toxic oligomeric pores. 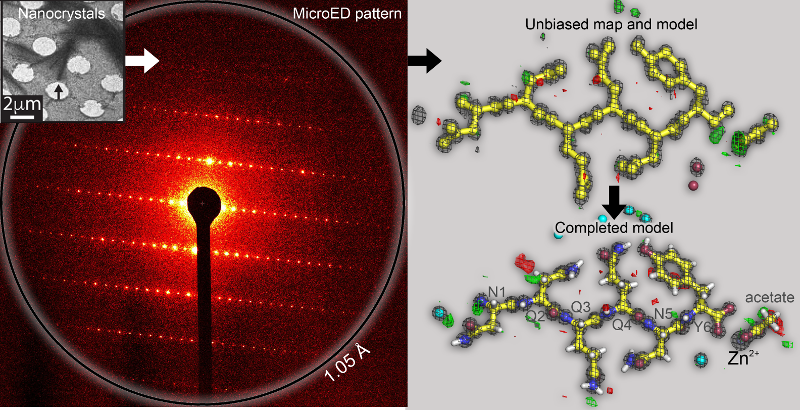 The small size of the crystals—50 unit cells per edge, on average—has impeded structural characterization by conventional means. 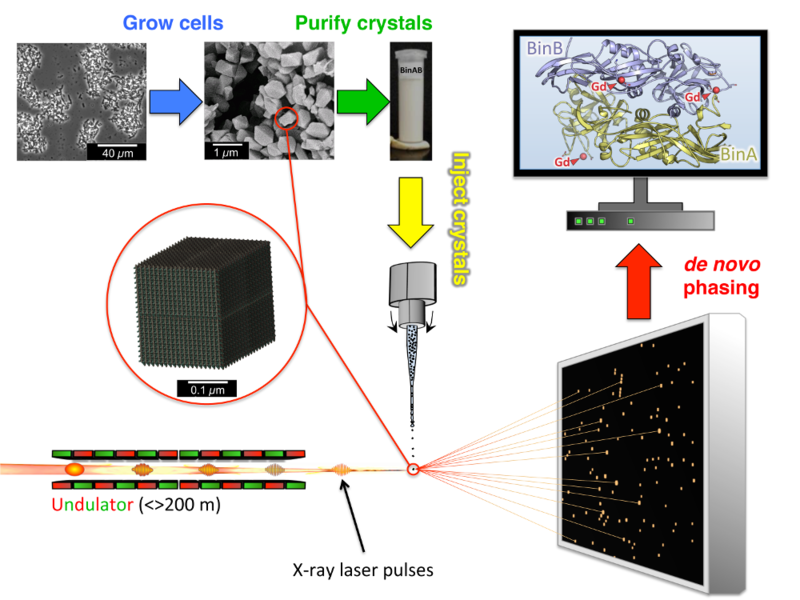 Here we report the structure of Lysinibacillus sphaericus BinAB solved de novo by serial-femtosecond crystallography at an X-ray free-electron laser. The structure reveals tyrosine- and carboxylate-mediated contacts acting as pH switches to release soluble protoxin in the alkaline larval midgut. 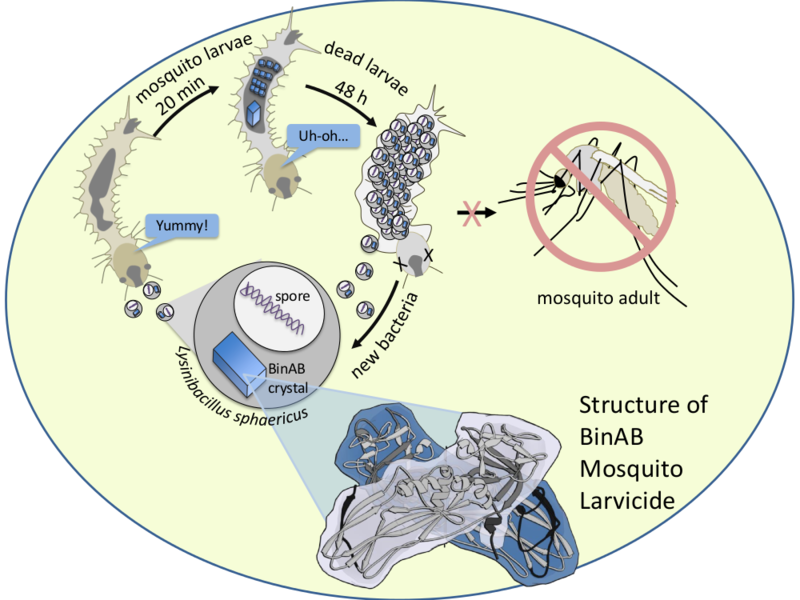 An enormous heterodimeric interface appears to be responsible for anchoring BinA to receptor-bound BinB for co-internalization. Remarkably, this interface is largely composed of propeptides, suggesting that proteolytic maturation would trigger dissociation of the heterodimer and progression to pore formation. 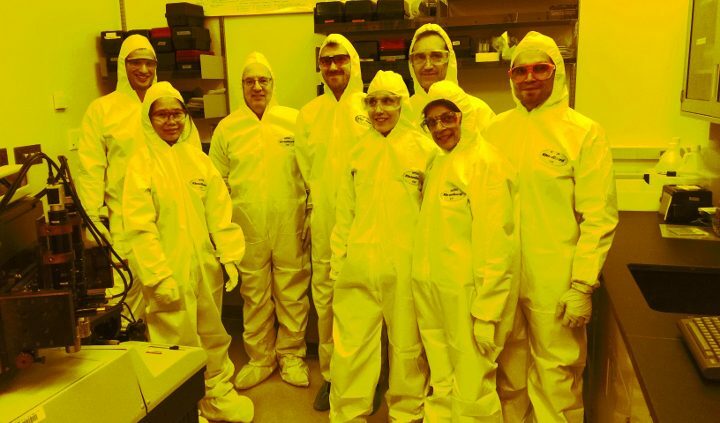 UCLA-DOE PI’s visit the Pacific Northwest National Laboratory to team up on new research projects involving state-of-the-art scientific instrumentation. 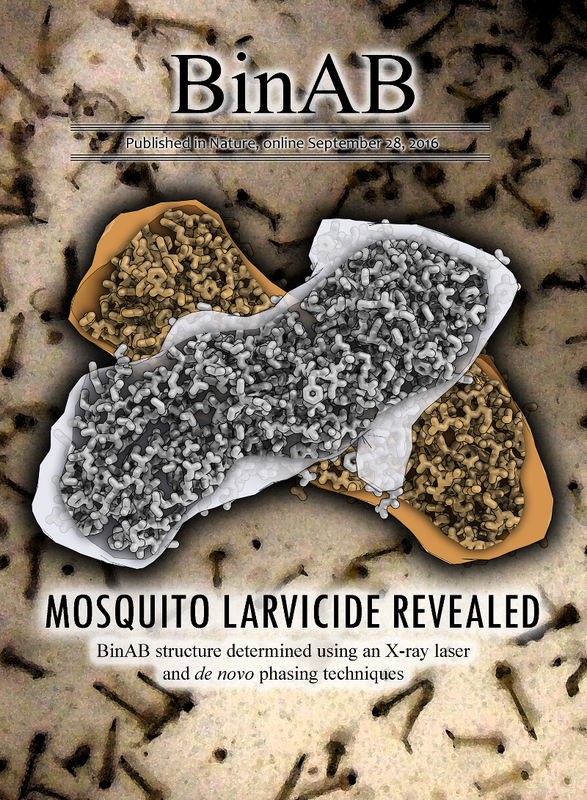 The site contains descriptions and contact information for each core, as well as a new searchable database of services and instrumentation (courtesy of the UCLA-DOE Institute Bioinformatics and Computational Core Technology Center). UCLA scientists have developed a promising novel method to treat gynecologic tumors. The approach focuses on a protein called p53, which is commonly mutated in women who have high-grade serous ovarian cancer, the deadliest form of reproductive cancer. In many women with the disease, the cancer is very advanced by the time it is diagnosed and is therefore difficult to treat. Published in the Journal of Biological Chemistry, the work of Dr. Lorena Saelices and coworkers under the supervision of Prof. David Eisenberg establishes a novel therapeutic strategy for transthyretin amyloidosis. The team identified two segments of transthyretin that are responsible for the protein aggregation and determined the structure of their fibrils. The fibril structures were used to design peptide inhibitors that block self-association of the two segments, and hinder transthyretin amyloid formation. The research published in December, 2015 opens a new approach to tackle the life-threatening transthyretin amyloidosis. Professor David Eisenberg was awarded the Legacy Award at the 2nd Annual UCLA Molecular Biology Institute (MBI) Awards Dinner on November 12th. The Legacy Award honors outstanding MBI faculty mentors who have worked to inspire, encourage and guide the next generation of scientists and thought leaders.Professor Eisenberg is a Distinguished Professor of Chemistry and Biochemistry and of Biological Chemistry, an HHMI investigator, and the inaugural Chair Holder of the Paul D. Boyer Professorship in Molecular Biology Biochemistry. He served as director of the UCLA-DOE Institute for Genomics and Proteomics from 1993 to 2014. Nobel Laureate and founding MBI Director Paul D. Boyer and Lyda Boyer attended the event which was held at the UCLA Hershey Hall Grand Salon. 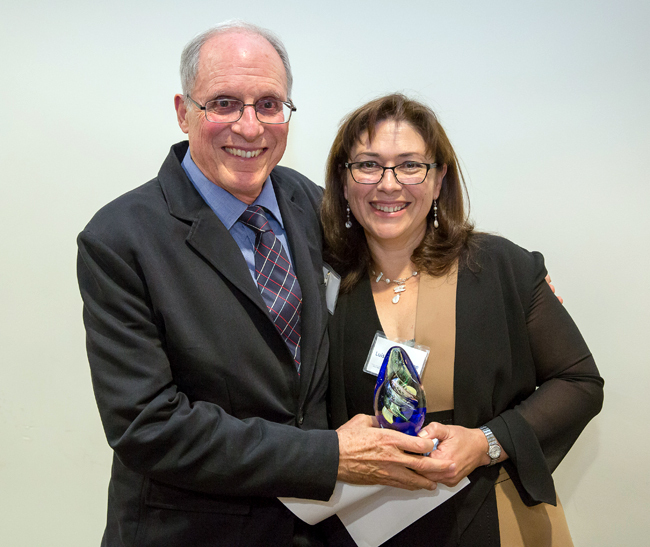 Professor David Eisenberg was presented the Legacy Award by MBI Director Professor Luisa Iruela-Arispe. 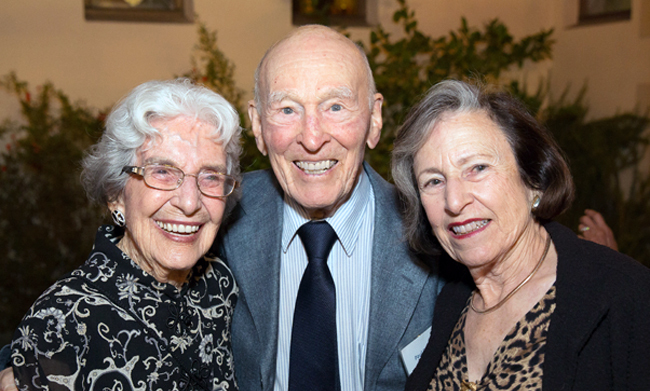 Left to right: Lyda Boyer, Professor Paul Boyer, and Lucy Eisenberg. 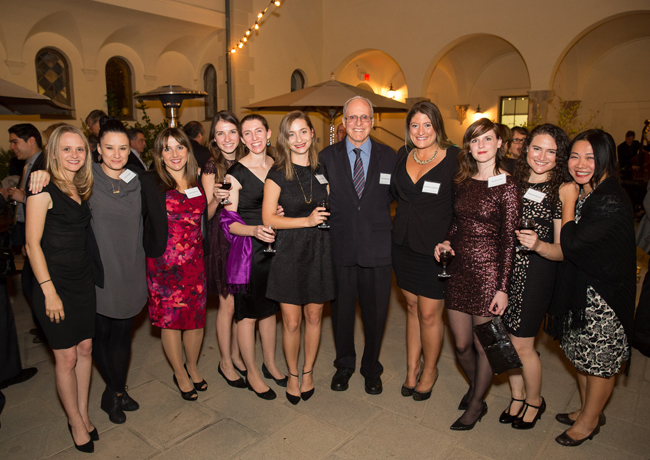 Members of Prof. Eisenberg’s group pose for a photo at the event (left to right): Dr. Nicole Wheatley, Dr. Alice Soragni, Dr. Lorena Saelices, Jeannette Bowler, Dr. Rebecca Nelson, Pascal Krotee, Prof. David Eisenberg, Elizabeth Guenther, Sarah Griner, Shannon Essewein, and assistant Cindy Chau. 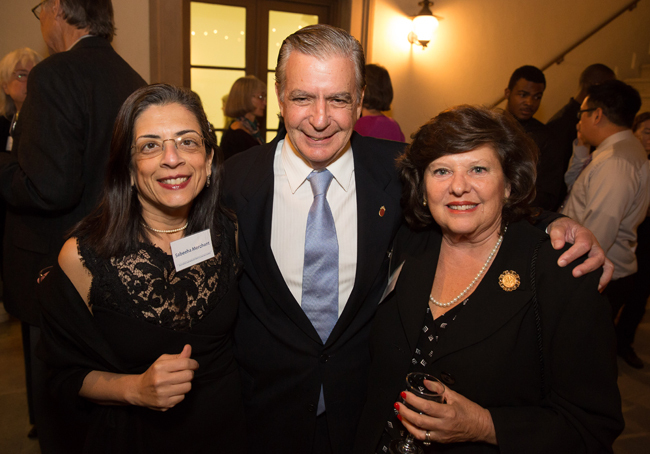 Left to right: Professor Sabeeha Merchant (Chemistry & Biochemistry), Professor Edward De Robertis and Ana De Robertis (Biological Chemistry). 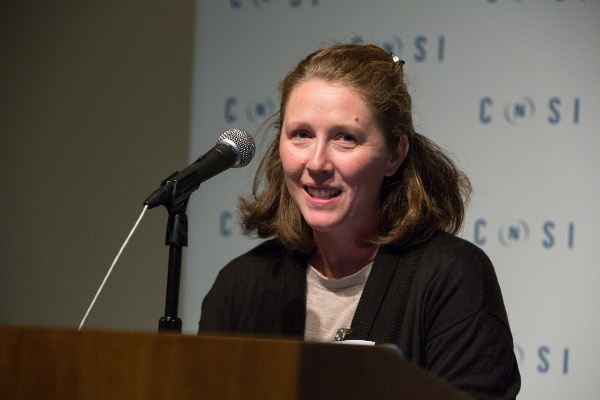 https://www.doe-mbi.ucla.edu/wp-content/uploads/2015/11/MBI-Awards-Dinner-small-1.jpg 110 82 DOE-MBI Staff /wp-content/uploads/2014/11/institute-300x84.png DOE-MBI Staff2015-11-18 23:32:342018-09-12 14:25:38Professor David Eisenberg was awarded the Legacy Award at the 2nd Annual UCLA Molecular Biology Institute (MBI) Awards Dinner on November 12th. 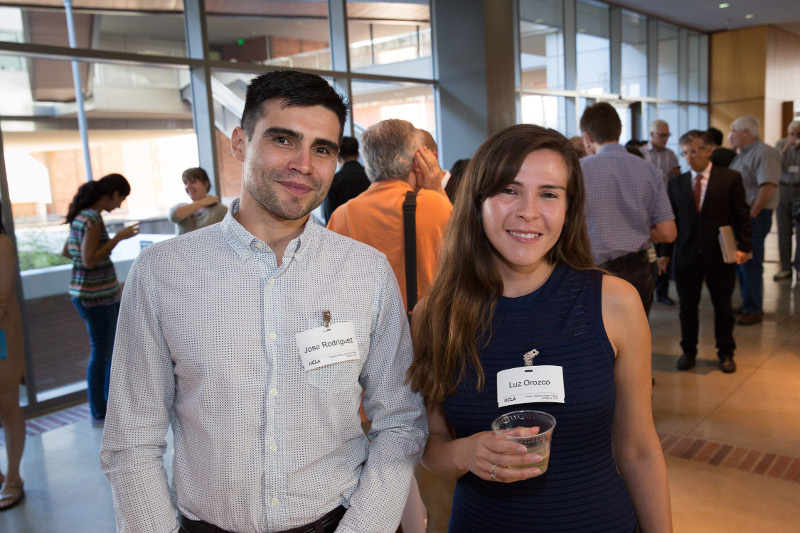 Three Postdocs from MBI Labs were recipients of the 2015 Postdoc Awards. 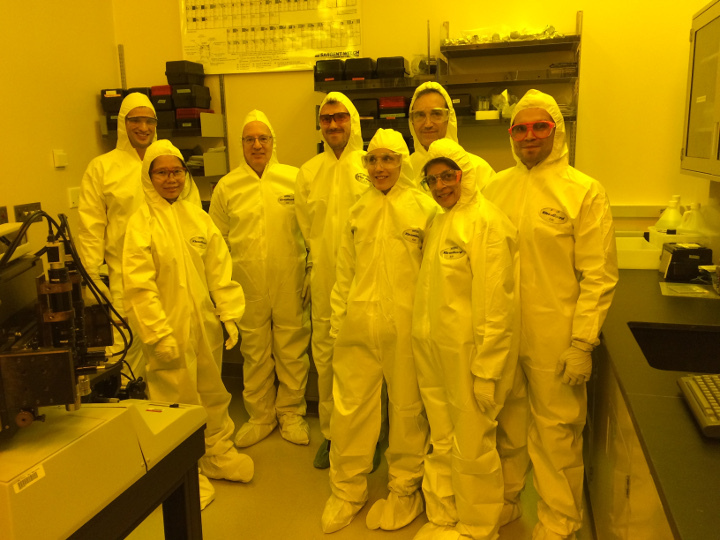 The events was held on Oct. 9th at the California NanoSystems Institute (CNSI). 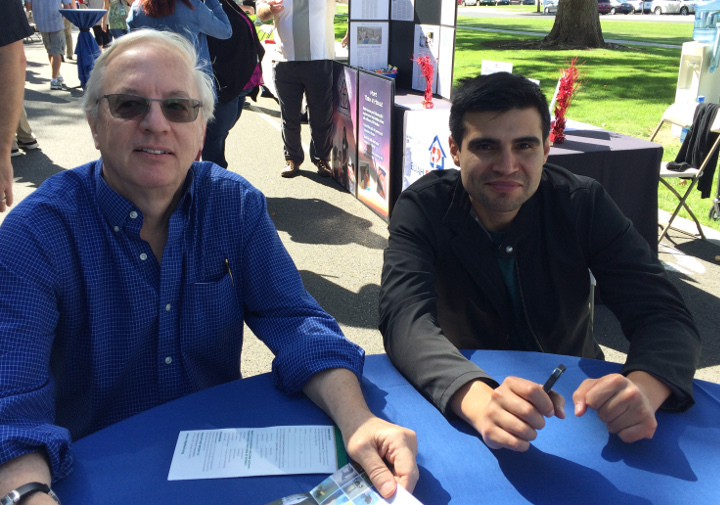 Jose Rodriguez receives 2015 Postdoctoral Recognition Award. 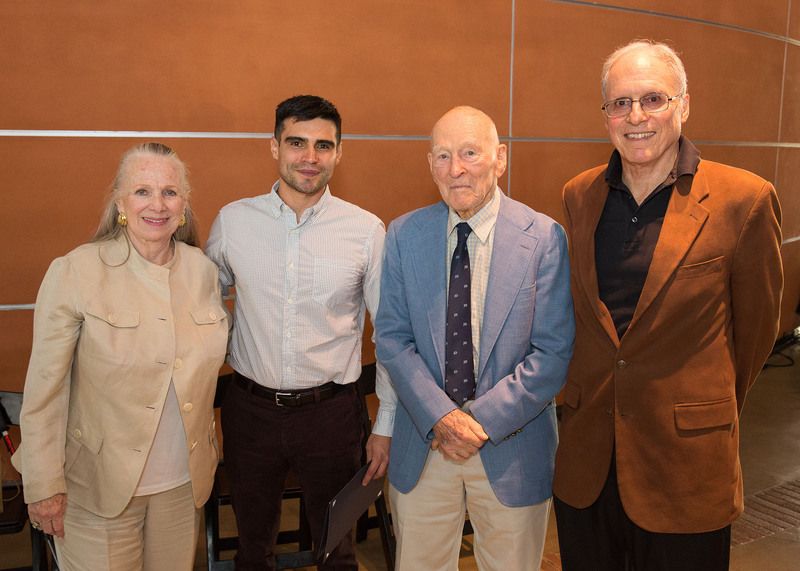 From Left: Phyllis Parvin, Jose Rodriguez, Paul Boyer and David Eisenberg .